One ingredient with mysterious origins pops up in dishes across St. Augustine, Florida. In the early 1500s, Spanish explorer Juan Ponce de Leon sailed his Spanish galleon through choppy coastal waters in search of the legendary Fountain of Youth. Ponce de Leon was the first documented European to explore Florida’s northeast coast. In 1513 he traveled to a territory inhabited by Seminole Indians. After the Spanish settled what is now the city of St. Augustine, the oldest continuously-inhabited city of European origin in the United States, along came the French, English and free Africans. 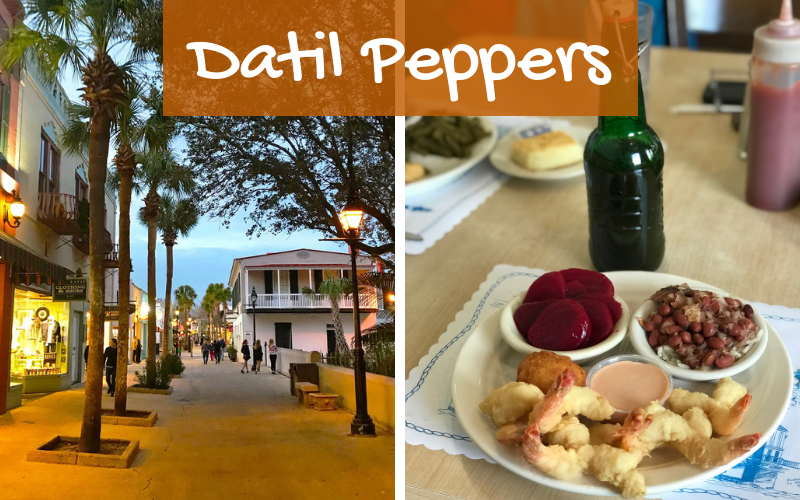 During that migration, at least one ship contained what has become St. Augustine’s favorite pepper: the datil.